MOUNTAIN VIEW, Calif., April 3, 2018 /PRNewswire/ -- DeepScale, a leader in efficient deep learning perception software for use in mass-produced automated vehicles, announced a $15 million Series A funding investment led by Point72 and next47. DeepScale is using efficient deep neural networks on small, low-cost, automotive-grade sensors and processors to transform the accuracy of perception systems, which interpret and classify sensor data in real-time, for automated vehicles. 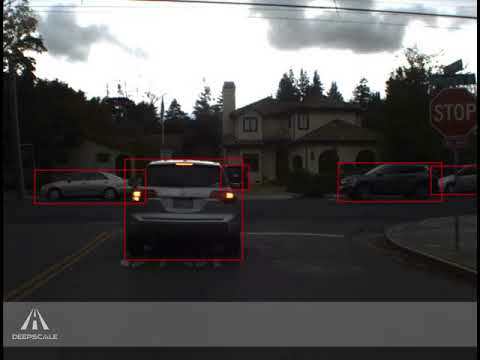 DeepScale’s deep neural network software detects vehicles, pedestrians and objects of significance for automated driving, using low-power automotive-grade chips. DeepScale is using efficient deep neural networks (DNNs) on small, low-cost, automotive-grade sensors and processors to transform the accuracy of perception systems, which interpret and classify sensor data in real-time, for automated vehicles. In doing this, DeepScale is bringing driver-assistance and autonomous driving to mass-produced vehicles at all price-points. As traffic fatalities continue to claim more than a million lives a year worldwide,1 the recent Series A funding will enable the expansion of DeepScale's engineering team and technology advancements and, ultimately, will support the company's mission to help make self-driving vehicles and roads safer. DeepScale co-founder and CEO Forrest Iandola attained a doctorate at UC Berkeley working on deep neural networks and computer vision systems. While working with his faculty advisor, and now co-founder Kurt Keutzer, Forrest's advances in scalable training and efficient implementations of deep neural networks led to the founding of DeepScale. "We've been following Forrest Iandola's research on efficient deep learning for a number of years," said Sri Chandrasekar, Director at Point72. "Forrest's inventions, such as a small DNN called SqueezeNet, have already been a game-changer for putting deep learning onto smartphones. When we heard that Forrest had started a company to put small DNNs into mass-produced cars, we jumped at the opportunity to get involved." T.J. Rylander, Partner at next47, said, "DeepScale is bringing unique expertise and advancements in deep neural network design to the automotive industry. We're very excited by the potential of autonomous technology to transform transportation markets. The DeepScale team is accelerating commercialization of today's driver assistance systems and tomorrow's self-driving vehicles, with the opportunity to bring profound impact to other transportation verticals longer term." DeepScale has a number of strategic partnerships with Tier 1 suppliers, OEMs and semiconductor suppliers to provide automated driving perception solutions, including Visteon and HELLA-Aglaia Mobile Vision GmbH, a major German automotive supplier. "Machine learning solutions will be the key driver for autonomous driving," said Kay Talmi, Managing Director of HELLA-Aglaia Mobile Vision GmbH. "DeepScale's core know-how in efficient deep learning networks is a perfect fit for HELLA-Aglaia's automotive applications and target markets." Additional Series A funding was provided by existing investor Autotech Ventures and Trucks Venture Capital, two firms known for their automotive expertise. Previous seed investors included some of the most sophisticated seed investors in Silicon Valley such as Andy Bechtolsheim, Ali Partovi, Lip-Bu Tan and Jerry Yang's AME Cloud Ventures. Building on DeepScale's direct customer engagements that are bringing safer, more efficient DNNs to market, the company's perception software will also be available for prototyping through development kits that DeepScale will offer in the second half of 2018. For more information or to get a demonstration of the DeepScale software, connect with us at contact@deepscale.ai. For media inquiries, please contact us at press@deepscale.ai. DeepScale is a venture-backed Silicon Valley startup developing artificial intelligence perception software for driver-assistance and autonomous driving, with a focus on implementing efficient deep neural networks on automotive-grade processors. 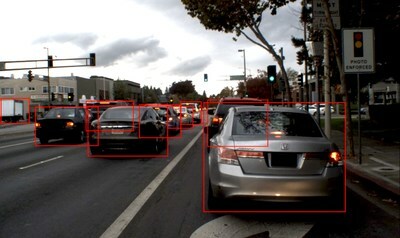 DeepScale's deep neural nets (DNNs) use data from various sensors to help vehicles of all automated driving levels better understand the world around them. DeepScale has strategic partnerships with OEM, Tier 1 and semiconductor companies that aim to bring improved safety to mass-produced vehicles through open collaboration. The DeepScale culture is focused and passionate, but with an emphasis on collaboration and cooperation, not competition. The company has a strong belief in the value of work-life balance with the freedom to solve problems your own way. DeepScale offers competitive pay with stock grants above the industry average with excellent benefits. To learn more about DeepScale and to join us on our mission to advance the future of safer transportation, visit jobs.deepscale.ai/.